Customer service leads to happy customers, and happy customers keep buying your products and services. It really is that simple on the surface, but there is more nuance. 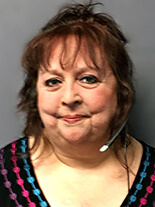 Our May Call Handling Hero® Sandra received a call from a resident of a high-rise because water was leaking into his apartment from above. Flooding is never something anyone wants to have to deal with, and she knew she had to take action. Sandra quickly realized something wasn’t right, though, because the name of the apartment complex didn’t show up on her list of properties. She called the management company; it turns out they had just acquired the building, and the transition process was ongoing.